New Richmond, September 10, 2016. 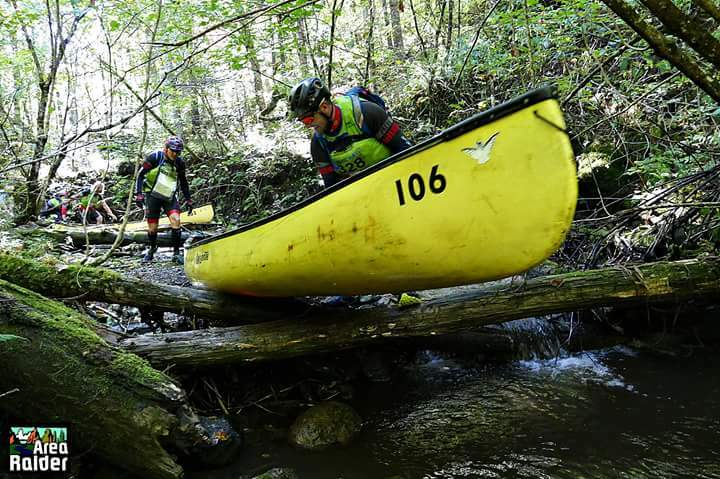 This morning, two different starts were given at two different places for the 300 K and the 150 K . The racers doing the long course made a canoe start at Farm Lake, a beautiful and remote lake located about 40 km North of New Richmond. And for the 150 K racers, the start was by bike and given at the covered bridge of Saint-Edgar. Under a very welcome warm sun, the racers of the 300 K did a beautiful river descent on the Petite-Cascapédia River up to the Forks bridge. Among the surprises that expected the racers today, there was a wonderful zip line going down the cliff in New Richmond and a coastering section at sunset along the bay. People are getting tired and with some injuries above that, we now count with two DNF: LaBeauce Débarque and Sirius-PDS who had one member injured at a knee. The father of the team Arns of Sparta, despite an injury at a knee, was on the starting line this morning and completed Day 2… as he did not want to deceive his son! The day must have been hard, and we will see if they still in the race tomorrow. Thiago Elias, from the Brazilian team Brou Aventuras recounted that his brother and him are now known in the region with this third participation at the RIG, and people recognize them on the race course and show them manifestations of affection that are very appreciated and energizing for them! He also noted that the competition is strong this year and he is impressed by the number of local teams and their strength! He is convinced that the RIG encourages people from the region to train hard! 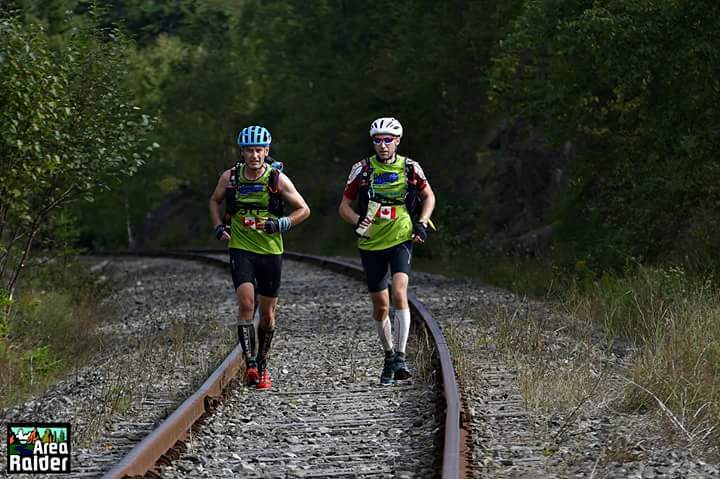 At the end of Day 2, for the 300 K, teamEstonian ACE Adventure (Timmo et Joosep Tammemäe) (6 :18 :15) arrived first, followed few second later by team Azimut Espresso Sport (Lyne Bessette/Dany Déry-Chamberland/Benoit Simard/Martin Hardy)( 6 :18 : 23). 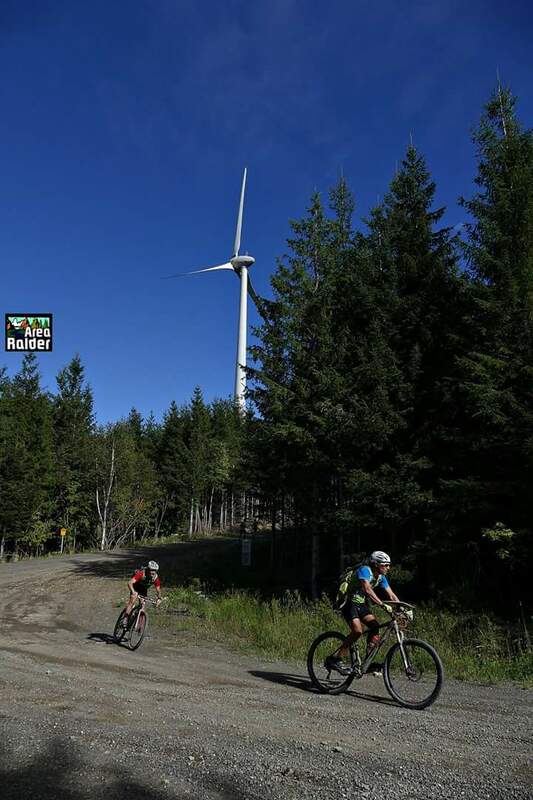 And it is team Dynafit/SkimoEast(George Visser/Jeff Rivest/Patrick Lussier/Évelyne Blouin) (6 :59 :17) that passed the finish line in third place, before team Subaru New Richmond / La Vie Dehors (Robin Lever/Antoine Richard). For the 150 K, team Paysage Navigue.com(Marc-André Toupin, Benoit Poirier, Jean-Sébastien Babin/Louis-Gabriel Pinard)(3 :49 :45) finishes, once again, the day in first position, followed by team Hors-Pistes (Félix Doucet/Jean-François Godin) (4 :03 :50) and the feminine duet of team Rhéal Pitre Sport/Clinique vétérinaire de la Baie (Audrey Bastien/Marianne Desrosiers) (4 :13 :30). 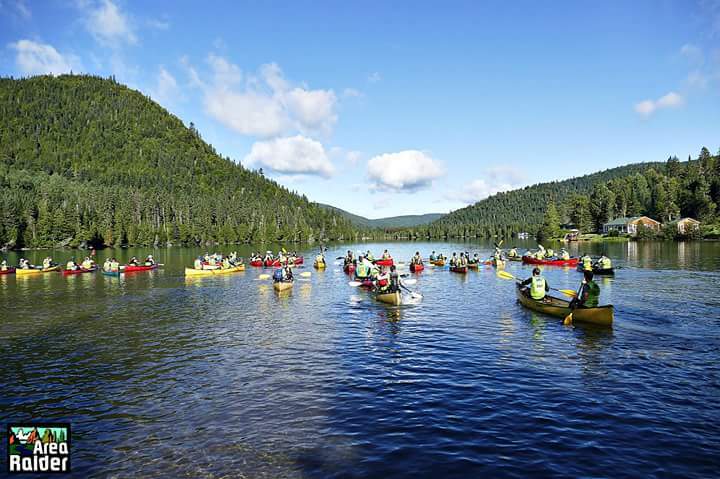 The start of the last day of the Gaspésie International Raid will be given at dawn, at 5:00 am for the 300 K and 6:00 am for the 150 K, at the Taylor Point in New Richmond, by canoe.